Contact Center and Live Chat Services for Online Businesses — Intercon Messaging Inc.
Intercon Messaging offers affordable professional answering service solutions that can grow with the evolving business needs of online businesses. Online businesses must offer the same exceptional customer service that consumers would expect to receive in-store. Studies show that 78% of consumers have bailed on a transaction or not made an intended purchase because of a poor service experience. Set your business apart by offering a customer support team that can assist your customers over the phone, via web chat or even on social media platforms. Customers may require help navigating your website or finding the right product and they expect to deal with responsive and knowledgeable customer service representatives. Intercon Messaging’s customer service representatives can help you to retain and grow your customer base by improving your customer’s shopping experience. While automation can be expedient, there is no substitution for knowledgeable, human service. 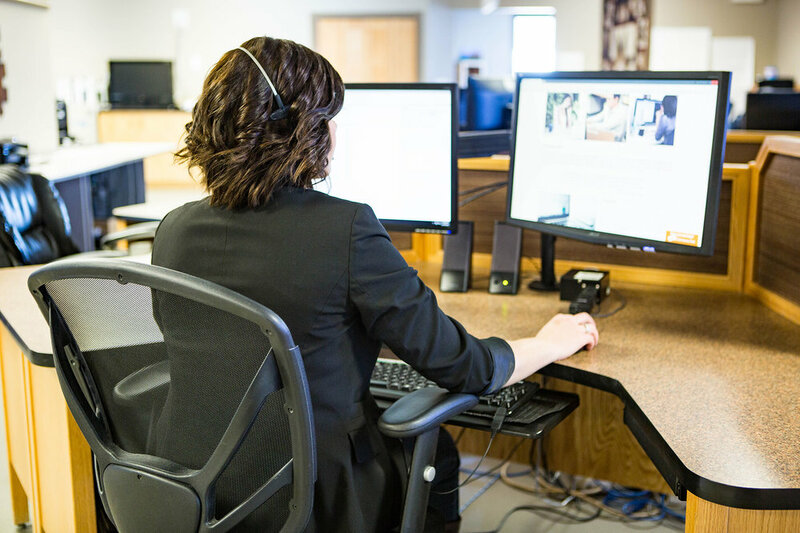 When customers are making purchases through your website, adding a virtual receptionist can have immeasurable benefits for both your company and the consumer. For you, a virtual receptionist can help prevent errors and reduce headaches. For the end-user, it can offer a helping hand and improve the overall buying experience. . Intercon Messaging’s customer service representatives can also provide additional professional administrative services like appointment reminders and data entry. An online help desk that never closes will dramatically improve your customer service by providing immediate assistance. Our experienced customer service representatives will use your scripts and processes to ensure that your customer's needs are met as quickly as possible with quality solutions. Most customer issues can be solved in the first communication and others may need to be escalated; either way your customers will feel valued and that they have been heard. Website live chat can improve response times and customer satisfaction to give you the edge over your competition. Live chat has the highest satisfaction levels for any customer service channel and is proving more popular than calling within today’s society. Customers are most likely to stop the online sales process if they run into difficulty and cannot connect with someone immediately. . Intercon Messaging’s customer service representatives give real-time and precise answers, lower customer wait times and improve the overall customer experience.